Get behind the wheel of our 2007 Toyota FJ Cruiser 4x4 shown in Silver! Powered by a durable 4.0 Liter V6 that effortlessly delivers 239hp while mated to an Automatic transmission. Our Four Wheel Drive offers up to 19mpg on the open road plus makes you look amazing. Inside our FJ Cruiser, you will notice the power accessories, AM/FM/CD/MP3, 60/40 split second-row seats and easy-to-clean rubber-like flooring. Just think of the possibilities of adventure you will have with this one! 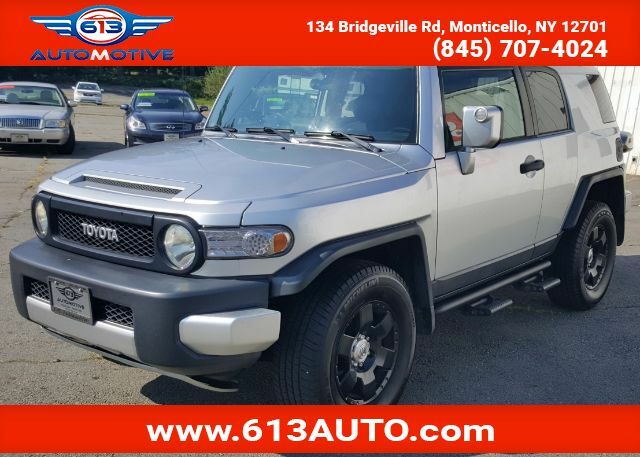 Rest assured that our Toyota FJ Cruiser will keep you safe with features such as brake assist, stability control, traction control, and plenty of airbags. If that isn''''''''t enough, the IIHS gave our FJ Cruiser its highest marks in front and side crash testing. It''''''''s ready to go wherever the road takes you. Print this page and call us Now... We Know You Will Enjoy Your Test Drive Towards Ownership!